One year ago EMKA Beschlagteile GmbH & Co. KG took over the rubber manufacturer Happich in Birmingham. 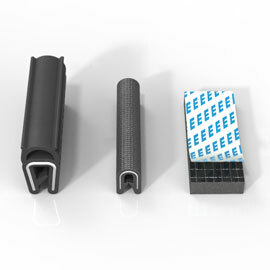 This step enables EMKA to manufacture not only PU-foamed products but also to extrude rubber profiles. 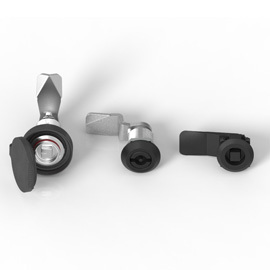 Thus the three main construction characteristics of enclosure manufacturing - locks, hinges and gaskets - are now completely produced in-house. Due to the takeover of Sealing Systems La Rioja a few days ago we have considerably expanded the product line of “extruded gaskets”. The Spanish company Sealing System La Rioja, which is based in Arnedo/Spain, is an established manufacturer of rubber profiles for the automotive industry. With more than 100 employees Sealing Systems La Rioja has achieved a good reputation among its customers, which come from the automotive and utility vehicle industry as well as other industrial sectors. The Spanish company was founded in 1990 by the Continental Group in order to supply rubber gaskets for the automotive manufacturers located on the Iberian Peninsula. In 2005 this factory was integrated into the SaarGummi Technologies GmbH (an original equipment manufacturer in the automotive industry). As a result of further modification and re-orientation of process engineering and technology the company did not only meet the expectations to its reputation, but also strengthened its position as an original equipment manufacturer of the automotive industry. Through this takeover EMKA is able to manufacture carrier profiles, hollow section gaskets as well as lip seals (also with varied shore hardness) by use of multiple die-heads. 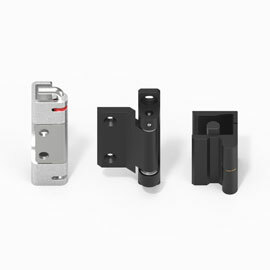 As a result it is possible to use carrier profiles made of braided, stamped steel or PPE. Furthermore complete frames or endless products, e.g. rings, made of extruded profiles are manufactured in the new EMKA-factory. Due to the existence of our own testing equipment and laboratories we are able to fulfil customer requirements regarding special quality characteristics for various industrial fields (chemistry, railway, refrigerating engineering / air conditioning / HVAC, etc.). Today the company operates 3 shifts on a site covering approximately 7,500 m². By means of the most modern technology Sealing Systems La Rioja provides the following core technologies: extrusion, co-extrusion and injection moulding of PVC and various types of elastomers for the manufacturing of complex cross-sections by means of the most modern manufacturing technologies. Multi-component technology, vulcanization, gluing and flocking are the processes that complete this spectrum. Just like EMKA Beschlagteile GmbH & Co. KG, Sealing Systems La Rioja can rely on its own development department and tool manufacturing for a quick response to customer’s requirements. Due to the lean organisation and a well-arranged quality management Sealing Systems La Rioja fulfils the special requirements of the automotive industry and is also certified acc. to the ISO/TS 16949:2002 standards. 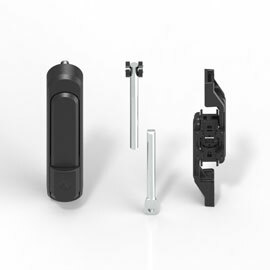 Due to the takeover of another factory abroad EMKA Beschlagteile GmbH & Co. KG continues to expand its manufacturing range and thus keeps on growing. “By means of steady growth and innovation we make sure that jobs at home and abroad can be safeguarded. We want to make these modern manufacturing plants one of the topics in intensified discussions with our customers”, is the statement of Mr. Runge, the owner and Managing Director (CEO) of EMKA Beschlagteile GmbH & Co. KG.